With the upcoming Mule 4 release, we’re working to deliver a simpler runtime, one that’s easier to use and run for all organizations. Today, we’re excited to announce the next step in that process: the Mule 4 Release Candidate! 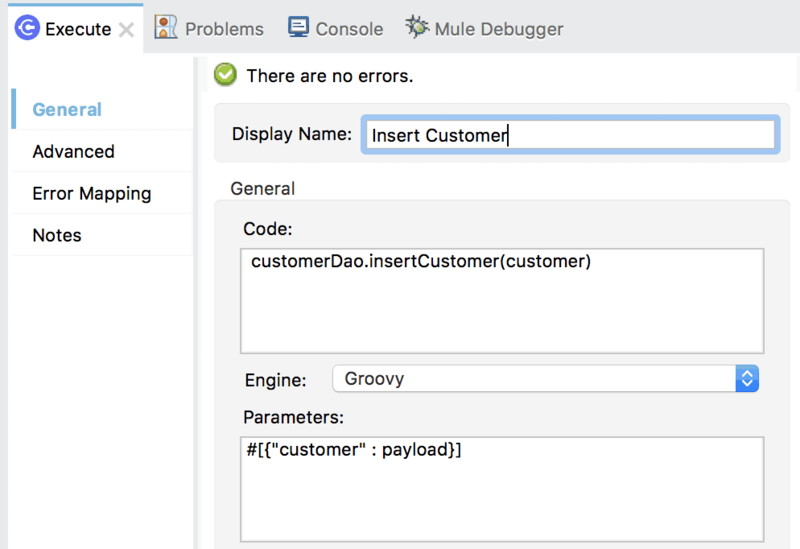 This release expands on the simplicity improvements in the Mule 4 Beta, adds new capabilities, and incorporates the great feedback from the beta. Mule 4 Beta introduced many new capabilities: simplified core concepts and language, DataWeave expression language, transparent data access and streaming, non-blocking runtime, simplified error handling and a new ‘try’ scope, frictionless upgrades and revamped core connectors, such as the new File Connector. 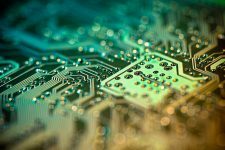 The Mule 4 Release Candidate (RC) builds on all of these changes, updating core Mule 3 capabilities, such as the scripting module, batch, and connectors, to take advantage of these features. A wider library of connectors is now available, like the VM connector, Anypoint MQ, PeopleSoft, and others. One of the pieces of feedback we received from the Mule 4 Beta was that people missed Set Payload and Set Variable. Have no fear, they’re back! And now, users can take advantage of the new DataWeave expression language too. We also made a number of improvements in how we integrate with Spring, better decoupling our internals from what you want to do as a user. The major benefit of this is that now you can completely control which Spring version you run! To use Spring beans, now you add the Spring module to your application, and simply import your Spring bean files. Mule 4 features an easier way to configure environment specific properties, which is Spring-optional. With it, you can now define application-specific properties in a YAML file inside your application. These will be the default properties for your application and you can override them using system properties. In the future, we’ll also be using this metadata to provide an improved configuration management UI from runtime manager. In Mule 4 Beta, all operations that return a value have a target attribute. This outputted the Mule message into that variable. In the Mule RC, we added a targetValue that allows users to customize whether the message, payload, attributes, or other values from the message are stored in that variable. You can choose to output the payload, attributes, the whole message, or even a subset of the message, e.g. #[attributes.size]. In Mule 3, batch jobs were top-level concerns, similar flows. But we’ve simplified this so it is now a scope that can live inside a flow–– making it easier to understand, invoke dynamically, and interact with other Mule components. We also no longer have a special set of variables (i.e. recordVars) for batch. 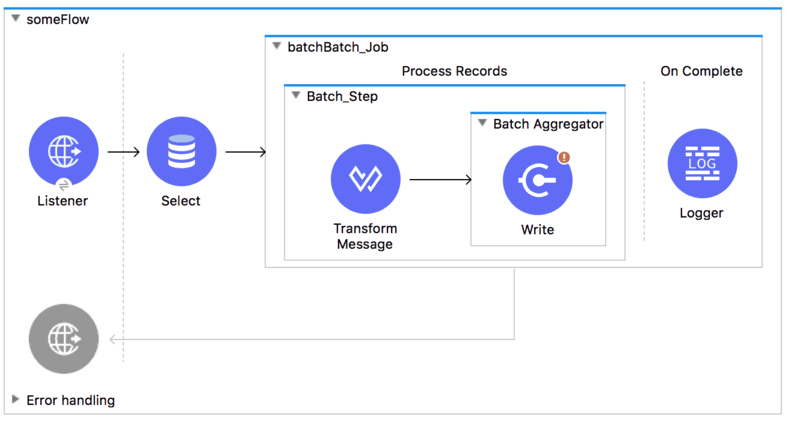 You can now just use flow variables directly; this reduces the complexity and makes it easier to learn how to write batch jobs. Get started today, by simply filling out the beta form and downloading Studio 7 beta with an embedded Mule 4 beta runtime. You can also use our new, web-based Design Center to design Mule applications. You can sign up for a free account if you don’t have one already. Also, be sure to check out our webinar on the new Mule 4 release where you’ll see Studio 7 and Mule 4 firsthand. Where can we register bugs/ improvements? We’re targeting early next year, stay tuned.